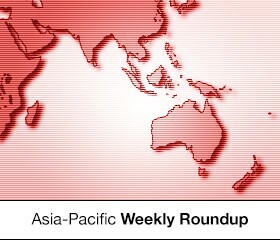 In this weekly segment, ExchangeWire sums up key industry updates on ad tech from around the Asia-Pacific region – and in this edition: Sponsored data service launches in Southeast Asia; Singapore social analytics firm to offer Facebook topic data; CPMs dip as inventory grows in SEA; Consumers will leave brands after bad experience; Adara opens Hong Kong & Japan offices; and Mindshare hires new head for Japan & Korea. Syntonic has announced plans to launch its sponsored data application service in the region within the first quarter of 2016, enabling operators to offer subscribers free mobile access to several messaging and social media apps. Called Freeway by Syntonic, the mobile platform is touted to allow advertisers, app developers, and telcos to reach mobile subscribers in Southeast Asia who can use applications such as Clash of Clans, WhatsApp, BBM, WeChat, and Twitter without paying any data charges. This list of sponsored data offers would only be available in Southeast Asia, said Syntonic, which noted that more apps would be added to the catalogue at a later stage. With Freeway, mobile data usage for specific apps would be paid for by a third-party, such as content providers, game publishers, advertisers, and mobile operators, rather than the mobile user. A mobile brand advertiser, for example, could pay for data used by a specific demographic or consumer group to download an app, view a specific content, or interact with the content over a period of time. These can help the participating brands and organisations acquire new customers, establish better engagement and loyalty with existing consumers, as well as tap new monetisation models for their content. 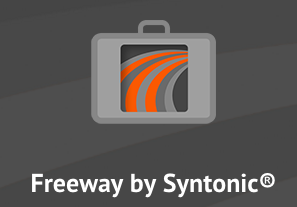 Citing industry research, Syntonic said sponsored data was projected to be a USD$6bn (£4.22bn) market in Asia by 2019. It pointed to Indonesia, the Philippines, Thailand, and Malaysia to offer significant growth potential for sponsored data services, due to their high smartphone and prepaid data plan penetration rates. Syntonic CEO and Co-founder Gary Greenbaum said: “We believe 2016 is the year of sponsored data. Southeast Asia is emerging as the world’s largest and most active prepaid data market, and consumers have demonstrated an enormous appetite for accessing mobile content and applications. “The market has all the right conditions to make significant progress in sponsored data innovations and business models. We plan to lead the charge in revolutionising how mobile content is discovered, consumed, and monetised,” Greenbaum added. Mobile subscribers would need to download the Freeway application in order to access supported apps. Once installed, all content promoted in the app would be sponsored, according to Syntonic, which added that it inked a deal with AT&T to offer the telco’s subscribers in the US access to sponsored data services. Singapore-based Circus Social has established a partnership with DataSift to provide anonymised Facebook topic data in its client reports. The data would include anonymous and aggregated information about specific activities, events, brand names, and other topics people shared on Facebook. This information would allow marketers to gain deeper insights from actual audiences and enable them to better engage customers with topics in which they would be interested. With the Facebook topic data, organisations could make business decisions in real-time and tap insights to support product development, as well as facilitate audience affinity analysis and brand reputation management. DataSift CEO Tim Barker said: “There is a huge pool of data and insights now available to companies across the globe. Our aim is to enable organisations to get real business value from this wealth of unstructured data and use the intelligence gained to drive decisions and answer business questions. “Facebook topic data provides companies with an in-depth understanding of their key audiences in a privacy-safe way. It’s fantastic that Circus Social is now partnering with us to provide its clients across Asia with access to anonymous and aggregated Facebook topic data”, Barker added. Southeast Asia’s pre-roll inventory has continued an upward trajectory, while CPMs have fallen, according to the latest quarterly numbers from video ad services provider TubeMogul. Desktop CPMs in Indonesia, for instance, dipped 27% in fourth-quarter 2015 over the previous quarter, while mobile CPMs fell 19%. Desktop inventory grew 103% in the fourth quarter, over the previous quarter, and mobile inventory grew 56%. Desktop CPMs in Singapore, though, climbed 4% in the quarter, while mobile CPMs fell 6%, along with mobile inventory, which saw a 31% drop. Desktop inventory grew 33%. According to TubeMogul, advertisers in Southeast Asia generally preferred 30-second ads over 15-second ads. However, in countries such as Singapore and the Philippines, 15-second video ads accounted for more impressions in the fourth quarter of 2015. In Japan, pre-roll inventory climbed 32% over the previous quarter; although mobile inventory remained flat. This growth likely pushed down CPMs for the quarter, the ad tech vendor said. Almost 80% of consumers across three Southeast Asia markets say they will stop doing business with an organisation after a nasty customer experience. According to a LogMeIn study, which polled about 1,530 respondents in Singapore, Malaysia, and the Philippines; another 72% would advise their family and friends to do likewise. Some 44% were moderately satisfied with their customer support experiences, while 25% gave a high satisfaction rating. For 37%, an organisation’s ability to connect a representative to the customer to address a query was a key driver of satisfaction, with 43% expressing the most frustration over the time needed to resolve an issue. In addition, 31% turned to an online channel to access customer support, while 29% chose their mobile. Some 48% would tap the web to seek out information before contacting customer service. Interestingly, the study noted that digital channels required 8.3 interactions with the customer before resolving an issue, while traditional channels took only 2.8 interactions. LogMeIn suggested that this indicated inefficiencies in digital channels, compared to traditional platforms for issue resolution. The travel data platform has set up new outfits in Hong Kong and Japan, bringing on new executives to head its sales teams in the two markets. Based in Tokyo, Junko Morishita has been appointed its Japan commercial director, while Irene Lee has assumed the role of North Asia sales director and is based out of the new Hong Kong office. Morishita has more than 15 years of industry experience, that included stints at Microsoft Advertising, Marine Software, and Atlas. 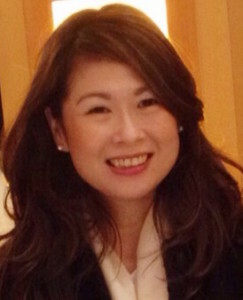 Lee has 17 years of advertising and media experience in the Asia-Pacific region, where she worked with various clients, such as the Hong Kong Tourism Board, Peninsula Hotels, and Vietnam Airlines. Adara also has offices in other Asia-Pacific markets, including Singapore, Australia, and the Philippines. The media agency has hired Stephen Berkov as its managing director for Japan and Korea, where he leads the local operations in both markets. The executive has more than 20 years of experience in marketing and media, including in the automotive and cosmetics sectors, and has worked in Japan, the US, and Europe. Berkov previously worked at brand consultancy Iceology in Los Angeles and also was the president for cosmetics company La Prairie in Tokyo.